We are delighted to welcome you in Residence Villas Hotel set in the northern part of Crete, in Stalis. The management and the staff extend you a very warm welcome and trust your stay with us to be the most pleasurable and unforgettable. In Residence Villas, our guests can enjoy their breakfast and meals from a variety of options. Certified with the “Greek Breakfast” award, our restaurant offers unique flavors, inspired by the Cretan nutrition and uses local products of great quality. Stalis has a natural beauty that combines the rugged mountains with the long sandy beach and the crystal clear waters. In Stalis visitors can find everything they possible need for their relaxing holidays in Crete. We stayed for 4 days in a lovely homefeeling apartment. The decoration was stylish elegant and yet cosy. The owner family pays attention in all details especially in Cretan traditional food. All plates are top quality like " mother's" dinner time . Do not miss the eggplants with fresh tomato and feta cheese Thank you we will be back next year !!!! Residence Villas is a very beautiful and quiet hotel by the sea. We were able to relax and get away from the daily routine. We were very pleased by the corteous staff. The rooms were very stylish and clean!Very tasty food and nice coctails. I spent with my husband the last two weeks of july in Residence Villas . We had great time at this beautiful hotel.It was very a clean and quiet hotel with very helpful personnel. The location was amazing and the beach was great too.At the restaurant of the hotel we tasted typical cretan food with great variety. 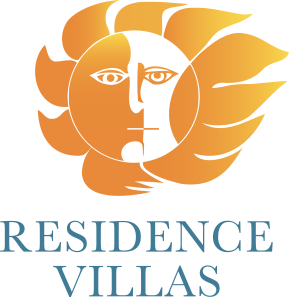 We recommend Residence Villas to everyone! Once again we spent our holidays in Residence Villas, once again we had a great time thanks to Kostas and the lovely personnel of the hotel. We had a great apartment, always clean and we must admit that the improvement of the food this year was really impressive! Thank you once again! We are coming back next year!